Cost: €197 (IACP members and the second and subsequent attendee from the same company receive a . 10% discount. This day focuses on understanding the accounts as presented and helps you extract the business story from the numbers extracted. It will go through all the main areas of interest to Credit Managers particularly on Solvency, Profitibility and Efficiency. 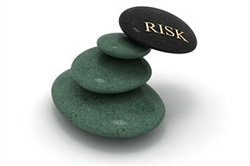 On completion of this module you will have some simple scoring models to help you manage the risk levels within your ledger. You will have a full knowledge of all the key ration and more importantly a complete understanding on what they mean. You will also learn how to create a comparative scoring model that should prove very useful for the future.